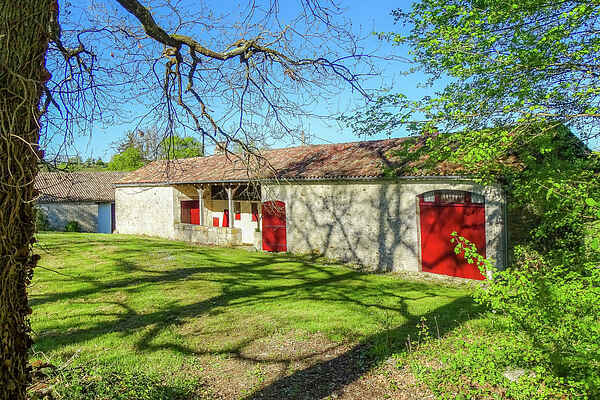 In the French countryside, a bergerie began as a sheep pen. As the shepherds became more affluent, they would build a residential house next to the long expanse of the pen, with a living room on the ground floor with a large open fireplace and kitchen. This nicely spacious holiday house with covered terraces and a large garden is an ideal place for families. One of the ground-floor bedrooms can accommodate a wheelchair user. From the garden you enter the bedroom and from there you have access to the barrier-free toilet and bathroom, as well as the living room. The large covered terrace is a wonderful spot to dine and lounge, and there is a second covered terrace where you can watch the sunset as you enjoy a glass of wine. This is a clean and spacious house that radiates a charming ambience of bygone days.